(Newser) – No collusion! (Or at least a lot less of it.) 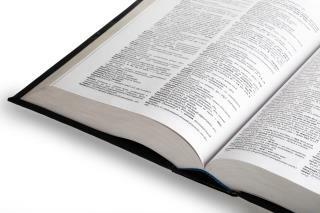 That's according to a Michigan school's latest "List of Words Banished From the Queen's English for Mis-use, Over-use, and General Uselessness." The politically charged term at the center of special prosecutor Robert Mueller's investigation into whether President Trump's campaign coordinated with Russia is among 18 entries on Lake Superior State University's 44th annual list, which was released Monday, per the AP. University spokesman John Shibley says the school received about 3,000 votes through its website and Facebook pages. Although "collusion" was among the top three vote-getters—along with "wheelhouse" and "in the books"—its inclusion shouldn't be interpreted as a political statement by the list-makers. Rather, voters apparently were just irritated by hearing and reading the word so often in the past year, he says. Other words or expressions that made the list are "wrap my head around," ''grapple," ''optics," ''eschew," and "thought leader," as well as "platform," ''ghosting," ''yeet," ''litigate," ''crusty," ''legally drunk," ''importantly," and "accoutrements." Two other political entries also made it: "Most important election of our time" and "OTUS" acronyms such as POTUS, for "President of the United States." Among the newest terms is "yeet," which variously refers to the name of a dance, a taunt, an excited acknowledgement, or throwing something. Shibley says with the rise of social media and ever-more-divisive politics, he and his colleagues tread carefully; the aim of the list is not to inflame, but to entertain. "Hopefully (it) helps diffuse some of the animus out there—not by laughing at ourselves, but by laughing at how language sometimes backs us into some absurdly funny corners," he says. Queens English? ROFL!!! Go Back to England! Overused word of the millennia........"awesome".